Urban Girl Magazine spoke with natural hair product line pioneer, Taliah Waajid about what sets her line of products apart from all other natural hair product lines, how practicing as a hair stylist has shaped her into the hair care business owner she is, how loving her own natural hair has taught her given her an advantage and how you can become successful at the hair business yourself. Waajid says her products are unique because she’s the customer, hair stylist, and the owner of her own hair products. What was once a line for products for women with natural hair has expanded to a line of products perfect for the entire family. Waajiid has something for everyone, even the men! She explained her men’s line and her newest and most natural line of products to date. 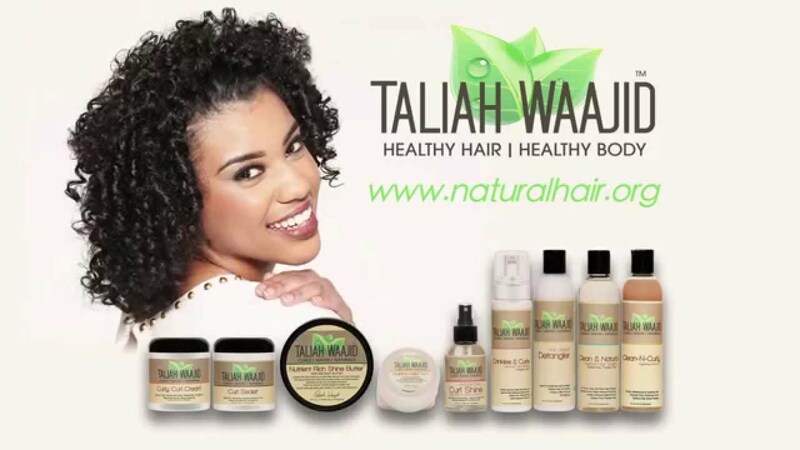 Taliah Waajid’s products are different because she is not only the owner of hair products but the customer as well and her line of products specializes in all hair types. Natural hair was always something Waajid was knowledgeable of because her mother didn’t allow her to relax her hair until she was well into high school. As we know although natural hair is becoming more and more popular daily some women are still hesitant to reveal their natural hair in corporate work place settings. Waajid shared why she thinks that is and what will help women to become more comfortable with their natural hair in the work place. Knowing the customer’s need is what has kept Waajid so driven to expand her product line over the years. For women looking to break into the multi billion dollar hair industry Waajid says to always keep the customer in mind. “If you want to be successful you have to keep the client in mind, you have to keep their need in mind, and of course come to my show the World Natural Hair and Lifestyle Show,” Waajid said with a chuckle. For more information on the Taliah Waajid World Natural Hair and Healthy Lifestyle Show 20th Anniversary happening on April the 22nd and 23rd, visit naturalhairshow.org.